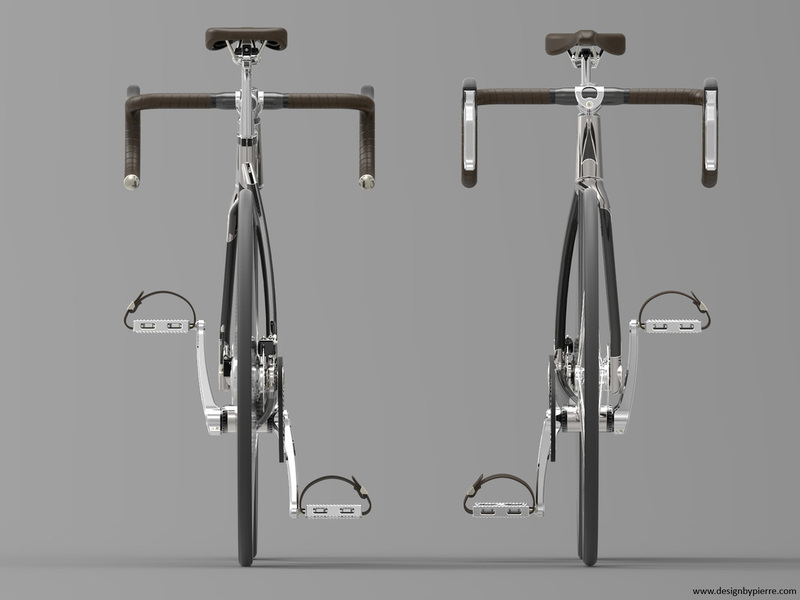 I've always liked bikes, it was only a matter of time before I came up with a concept of my own. 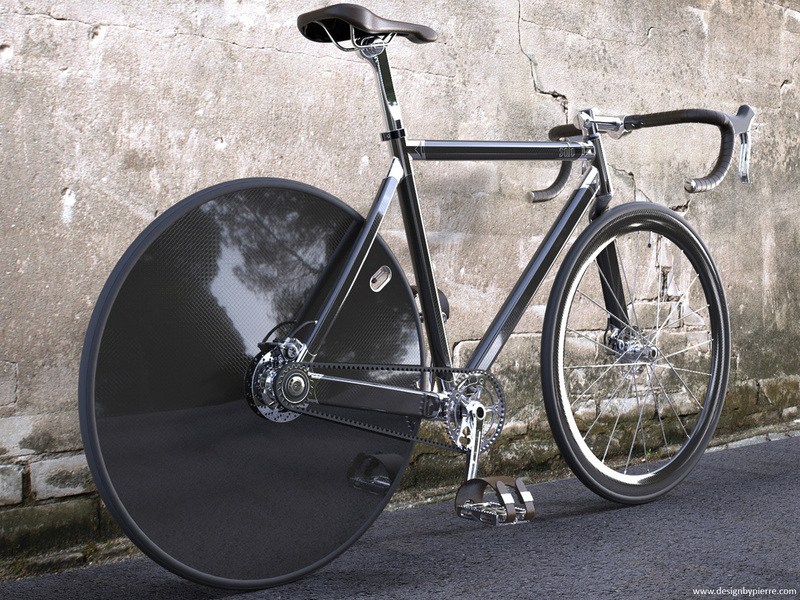 This one's for all the competitive commuters out there. 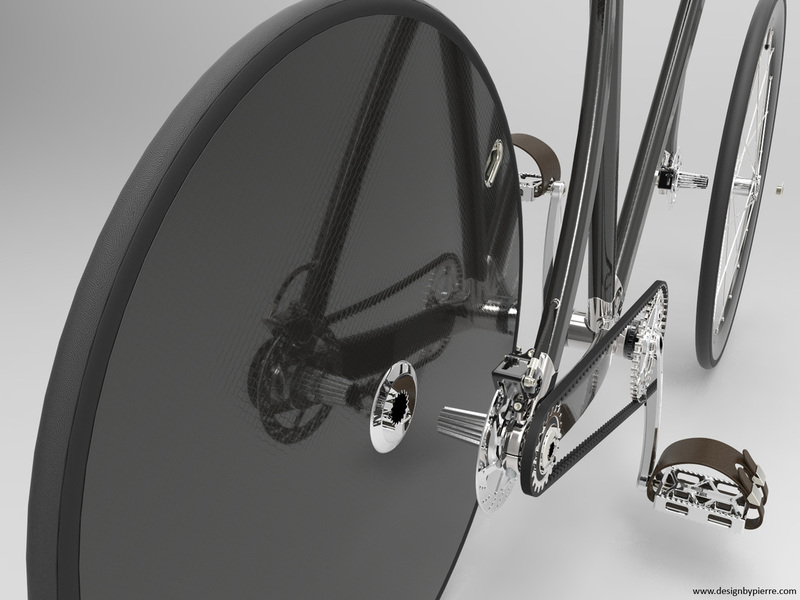 Lugged carbon fiber single-sided frame and fork. 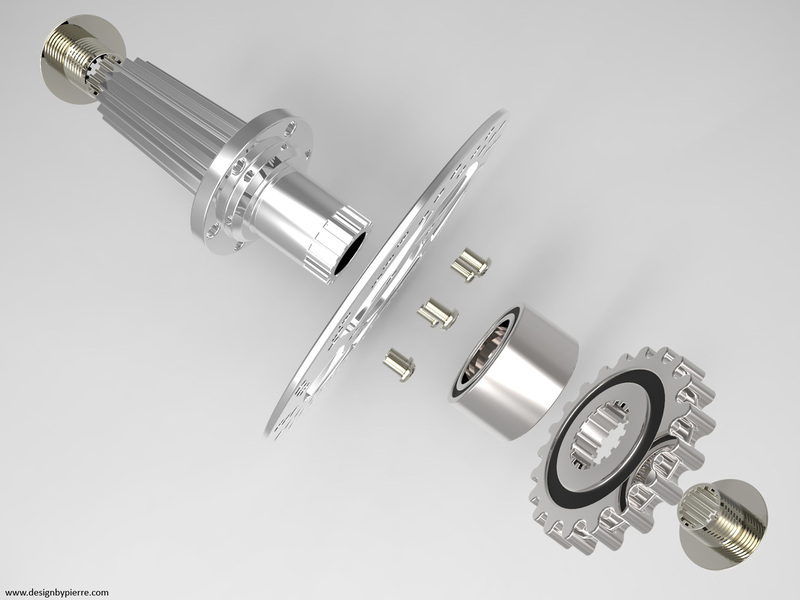 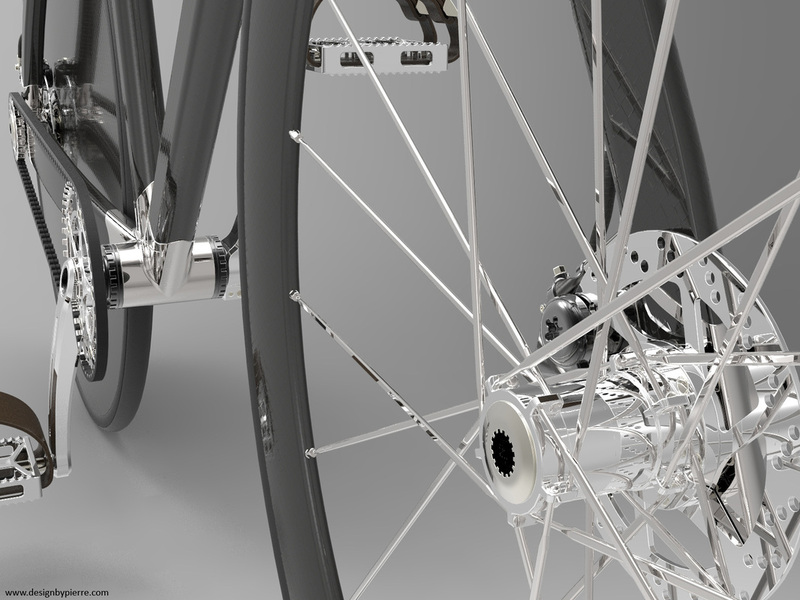 "Hot swappable" wheel design that leaves the driveline and braking systems in place. 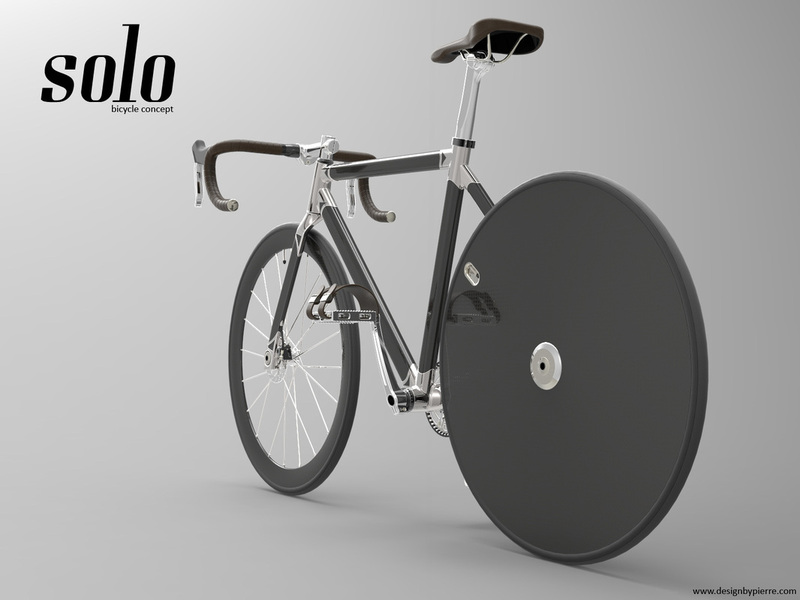 This also allows for a unique wheel format on both front and rear. 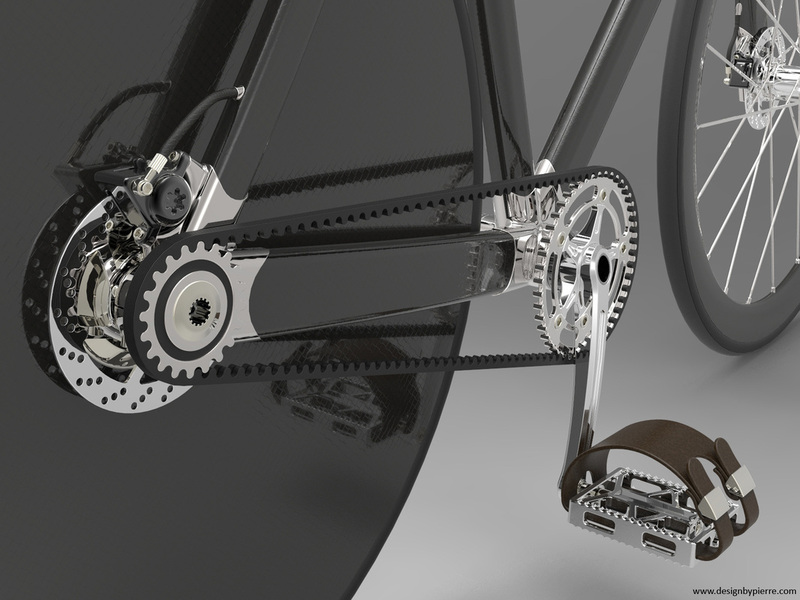 Carbon belt drive, perfectly suited for this driveline configuration. 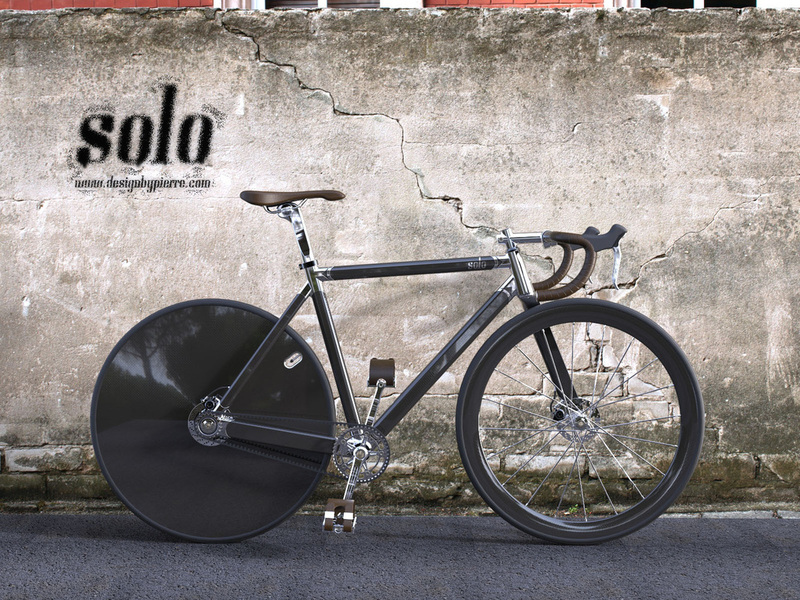 Components inspired by classic track bike models but modernized to take advantage of the latest technologies.